Hewlett-Packard has announced that it will begin selling a $169 tablet computer in April.The tablet will have an 7-inch screen, which is the same size as Google’s well-reviewed Nexus 7 and Amazon’s Kindle Fire. This screen is about 1-inch smaller than the screen on Apple’s latest tablet, the iPad Mini. HP’s tablet, the Slate7, will run Google’s Android operating system, which is a big blow to Microsoft, HP’s long-time operating system partner. Microsoft just introduced a fancy new operating system designed specifically for tablets, so the fact that a major PC maker is giving it the heave-ho is bad news for the Windows giant. More importantly, the tablet will set a new low mark in the tablet pricing wars, one that will undercut almost every tablet in the market, especially Apple’s iPad Mini. Apple’s Mini is priced at $329. This means that HP’s new tablet will cost only half as much. Apple fans will quickly argue that the iPad Mini is “much better” than HP’s tablet (they’ll argue this regardless of how good HP’s tablet actually is–we don’t need to see HP’s tablet to know that). And Apple’s Mini will probably, in fact, be better than HP’s tablet. The point is that HP has now established a new low mark in tablet pricing, one that will continue to put pressure on tablet prices across the board. This is great news for consumers. Sub-$200 pricing makes buying a tablet almost a no-never-mind, and it will accelerate the day in which most households have several of them just lying around–for use by whoever is within reach. Or the day in which everyone has a tablet that they carry around everywhere. But this is not great news for Apple, which generates a mind-boggling profit margin on hardware sales. HP makes its money from hardware sales, too, but HP is correctly realising that if it isn’t hyper-aggressive on tablet pricing, it will have almost no chance of clawing its way back into the tablet (and, eventually, presumably, smartphone) markets. 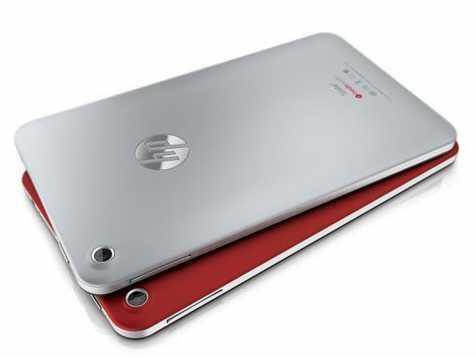 So HP is likely selling its new tablet at or below cost, just to get itself into the game. Will all prospective Apple iPad Mini buyers decide to save half their money and buy an HP, Google, or Amazon tablet instead? As we’ve already seen, many Apple fans are dedicated enough to the company–or locked in enough to the company’s content and software ecosystem–that spending $329 on a small tablet is worth it. And, for many buyers, it will continue to be worth it. Those who think Apple will be able to maintain its high prices need to realise how significantly the market has changed from a few years ago. A few years ago, Apple was both the quality leader and the price leader in the tablet market. Apple’s first iPad and iPad 2 were both considerably better than the competition, and they also cost considerably less. That was an extremely unusual and powerful position for Apple to be in. That was the position that Apple held in the smartphone market for several years, and this positioning enabled Apple’s iPhone to become the most profitable product in the world. This position, importantly, was very different than the position that Apple held back in the late 1980s and 1990s, when it lost its leadership and nearly went bankrupt. In those days, Apple was not the price leader. It was the quality leader, at least in some observers’ eyes, but its products cost considerably more than the alternative. And, eventually, as the PC market grew beyond early adopter fanatics, Apple’s high prices doomed it to becoming a niche player. Importantly, this is exactly the position that Apple now finds itself in in the tablet market. The company has sacrificed its price leadership in an attempt to maintain its staggering profit margin. This decision has given competitors like Amazon, Google, and now HP an opportunity to radically undercut Apple on price, and thus eat away its market share. If the tablet market were merely a “gadget” market, market share would not be so critical. But the tablet market, like the PC market of the 1980s and 1990s, has become a “platform market”–third-party companies are building products and services on top of smartphones and tablets. In a platform market, market share is critical: Developers want to reach as many potential customers as possible, so they eventually prefer to build for the platform with the greatest market share. This dynamic helps the platform market leader–in this case, Android–further increase its market share, while putting pressure on smaller players. Apple still has a huge advantage in the tablet and smartphone markets: Apple’s installed base of customers have now built large app and content libraries within iTunes and iOS. Apple users will be loathe to write off those investments, so there’s a barrier to switching platforms. This advantage, combined with the quality of Apple’s products and Apple’s amazing store distribution system, is enabling Apple to continue to sell a lot of tablets, even though there are now many cheaper, high-quality options. But as tablet prices continue to fall, Apple’s premium prices will seem increasingly unjustifiable. And if Apple doesn’t respond by cutting those prices, perhaps radically, more and more smartphone and tablet buyers will likely conclude that they’ll get better value over the long haul by cutting the Apple cord.